The alien brought his cosmic juice with him! Abe's Exoddus is as mysterious and intriguing as the depths of space; it's been described as a mildly sweet European cigarette sprinkled with banana, nougat, caramelized sugar, vanilla, roasted hazelnut and more. No-one can accurately pin down the taste, but one thing is for sure: Abe's Exoddus is a silky smooth tobacco blend with a perfect amount of sweetness. A superbly balanced and smoky vape, Abe's Exoddus is famous for thick and juicy clouds that deliver an absolutely phenomenal throat kick. 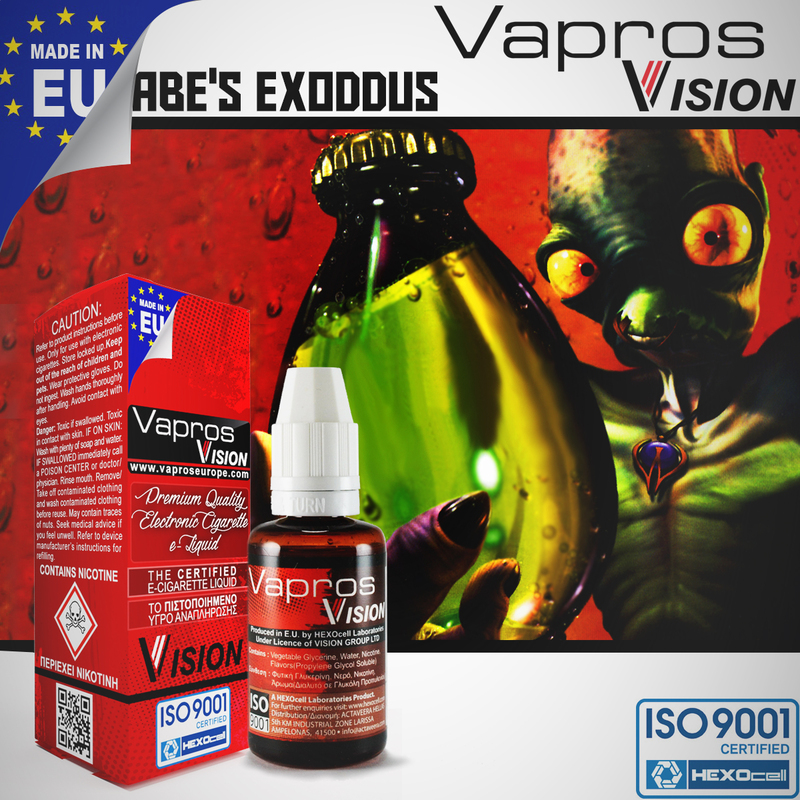 Quality & Safety Vapros/Vision liquids are made in the EU with the highest quality ingredients and are ISO 9001 quality certified.